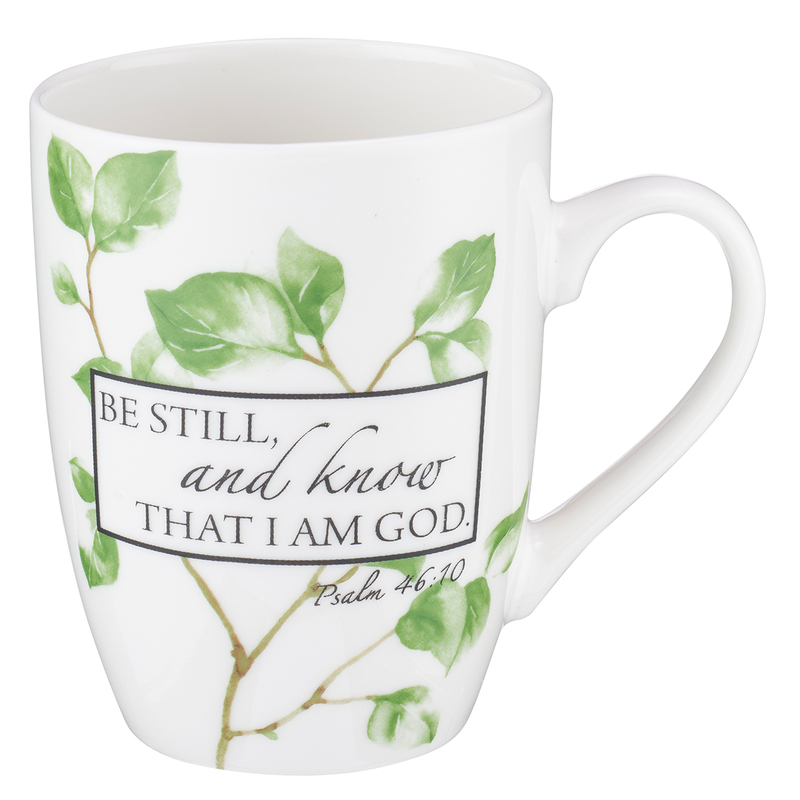 The white ceramic Be Still Coffee Mug features "Be still, and know that I am God" with a delicate green leaf pattern. 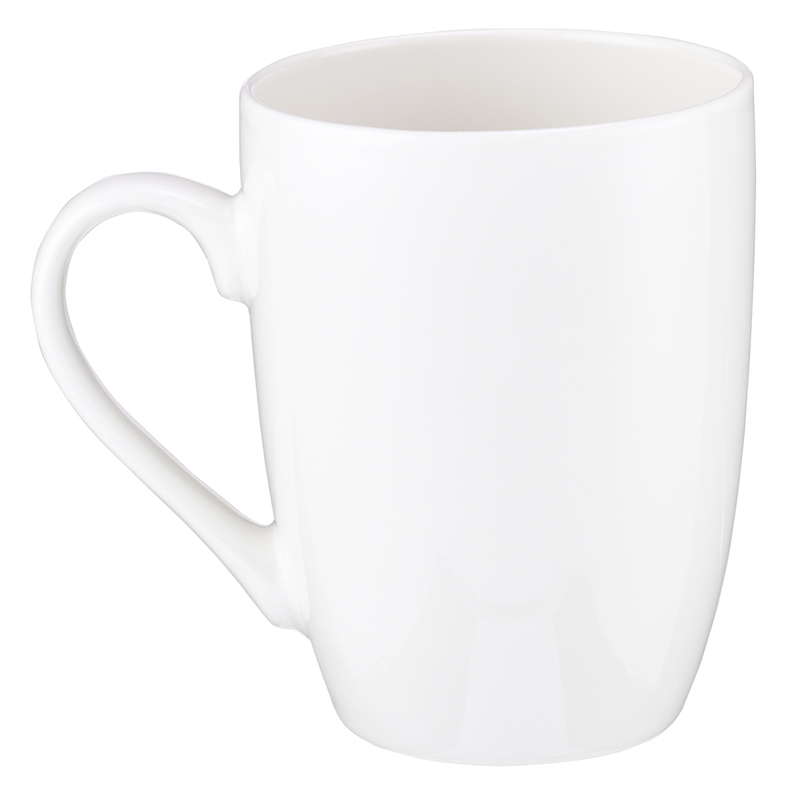 The ceramic coffee mug holds 12 fluid ounces and is the perfect height for personal use coffee brewing systems. 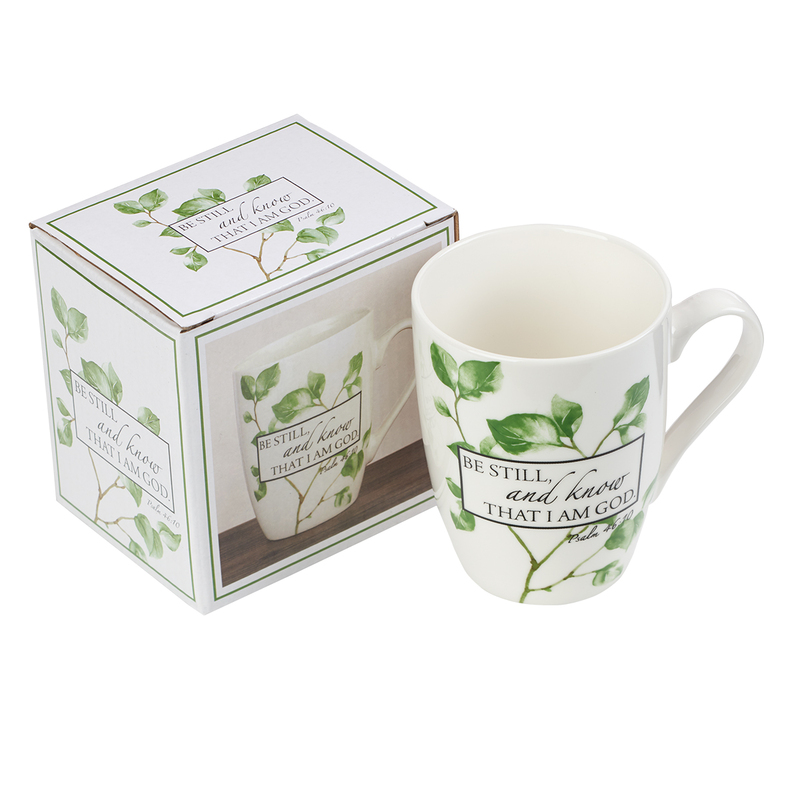 The mug arrives in a packaged gift box, making this a cherished gift for any occasion. Be Still Coffee Mug – Psalm 46:10 by Christian Art Gift was published by Christian Art Gifts, Inc. in November 2018 and is our 345th best seller. The ISBN for Be Still Coffee Mug – Psalm 46:10 is 1220000130791. Be the first to review Be Still Coffee Mug – Psalm 46:10! Got a question? No problem! Just click here to ask us about Be Still Coffee Mug – Psalm 46:10.